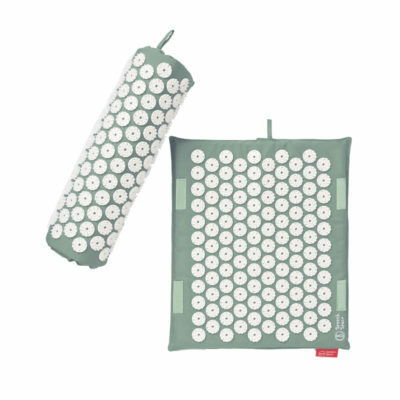 Spoonk AcuOM acupressure mat is made from (TPE) material just like your favorite yoga mat, it has 6210 acupressure stimulation points added for extra benefit (attached with mechanic clip method). Begin your practice on AcuOM to center and calm your mind... or end your practice to prevent stiffness and muscle pain after your workout. Easy to clean and reuse between classes. Acu-Om acupressure mat is super easy to use outdoors, gym, yoga studios. It is light and portable , easy to clean with water, just like any other yoga mat . It is made from TPE recycling material and comes with a stylish bag. Grab it with you to your next restorative yoga class or use it in the relaxation pose after pilatte and workout . This is a must have shavasanahhhhh thingy . To clean: wash it with soap and water and hang to drip dry (do not machine wash). Keep away from heat and direct sun light. To keep it fresh between use, spray it with a solution of water and tea tree oil (10: 1). Comes with a carrying tote bag. WARNING: If you are or could be pregnant, have unregulated high blood pressure, suffer from any bleeding disorder, have any type of neuropathology, are on a blood thinning medication (except aspirin), or suffer from any kind of skin inflammation/infection, please do not use acupressure mat. You can use the Spoonk™ mat, with appropriate caution, if you have well regulated blood pressure by medication from your doctor. If you have sensitive skin, heart failure, and/or arrhythmia (heart), or any other serious medical condition, please consult your doctor before using Spoonk product. If you suffer from seizures, please use the mat in the company of an adult who is capable of helping you off the mat in the event of a seizure attack. Please read the instructions on how to use Spoonk. Please read Spoonk Space Inc. terms of liability before using Spoonk mat. Keep out of reach of children. Do not expose this product to acetone, nearby fire, direct heat or sunlight. 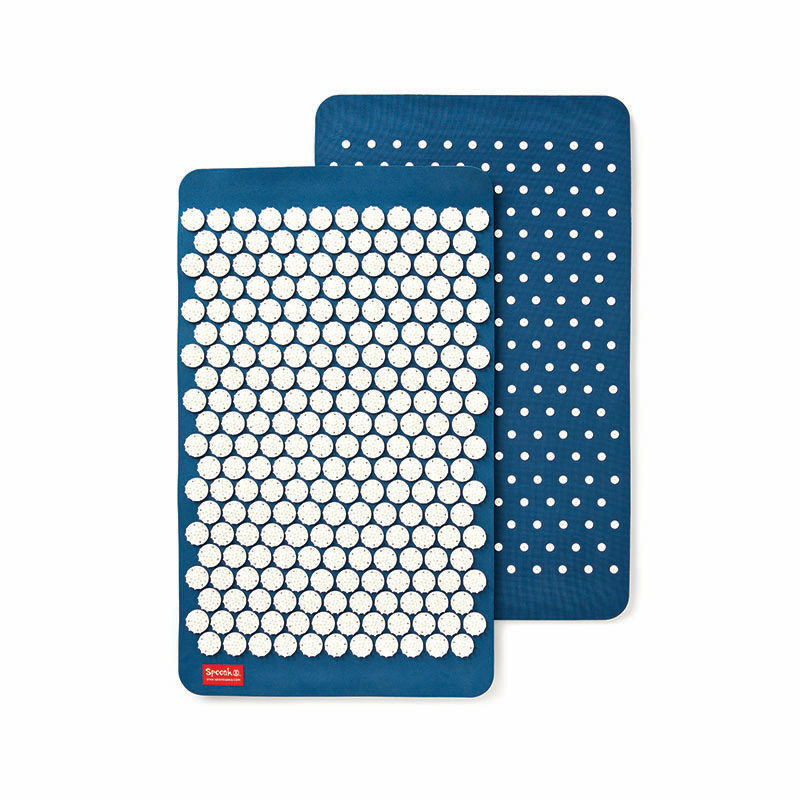 Spoonk acupressure mat is not a cure for any medical condition.